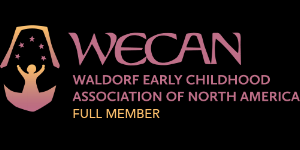 Did you know that there is a free Waldorf study group for current parents, grandparents and alumni parents? If you have ever wished that you could have attended a Waldorf school yourself, now is your chance to learn more about Waldorf pedagogy and to engage with fellow parents and a teacher. We meet twice a month on Wednesday afternoons from 3:00-4:00; please sign your child up for Aftercare. During the last discussion, a few of us talked about how to treat illnesses. The next discussion is scheduled for Wednesday, March 28. We will discuss an article on Temperaments. Stop by the office for a copy of the article. It is helpful, but not necessary, to read the material prior to our conversation. Future topics include Importance of Warmth and Sleep, Preventing Addiction to Media, Fairy Tales- Gruesome or Soul Nourishment, Seven Aspects of Mindful Parenting, Conscious Parenting in Troubled Times, Helping Young Children Learn Healthy Boundaries and are open to suggestions from participants.